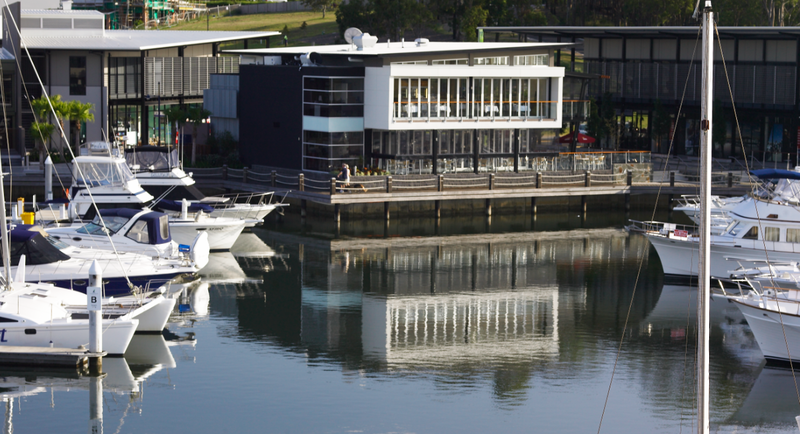 The hub of Coomera Waters is the Marina Village. The Marina Village is centrally located and features a selection of shops and restaurants on the ground level and commercial offices on the second level. Coomera Waters is a eco-residential development located in the one of the fastest growing suburbs of the northern Gold Coast region. The project offers a community-based lifestyle consisting of up to nearly 1,500 titles surrounding a 17-hectare harbour with a 70-berth marina interconnected by over 20 kilometres of eco-walking trails and extensive parklands and reserves. The properties include a blend of land and villas, centred by the Marina Village precinct with its commercial and retail outlets.